Love my old Casio CZ-101 but it does suffer from lack of memory with limited onboard storage which needs some rather heavy batteries to maintain and the cartridges never seemed to hold the memory for long either. 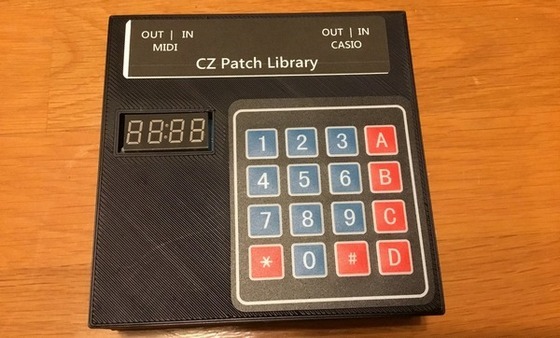 I came across an article on Vintage Synth Explorer where someone was discussing a modification to add an internal battery backup when someone posted this rather neat little gadget. Not exactly cheap being in excess of £125 but it does a great job. Ordered form the US and very much a home project evidenced by the hobbyist plastic case and sticky labels but what it offers is great. 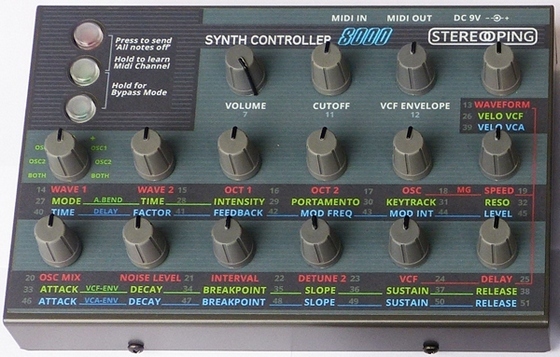 Long term storage and come complete with over 2000+ sounds and even adds an arpeggiator! 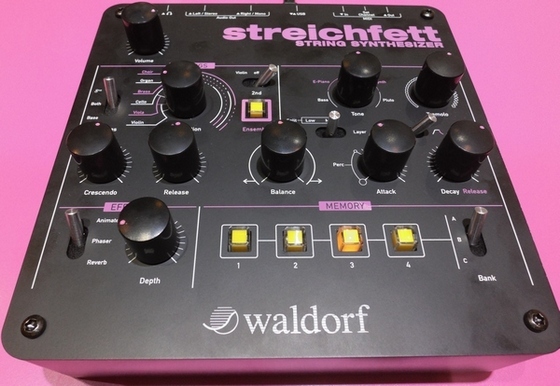 Just got myself a Stereoping 8000 controller for my Korg DW8000. This will replace the rather clunky Philip Rees C16 which worked well but had a rather “homemade” feel about it and the functions not labelled. 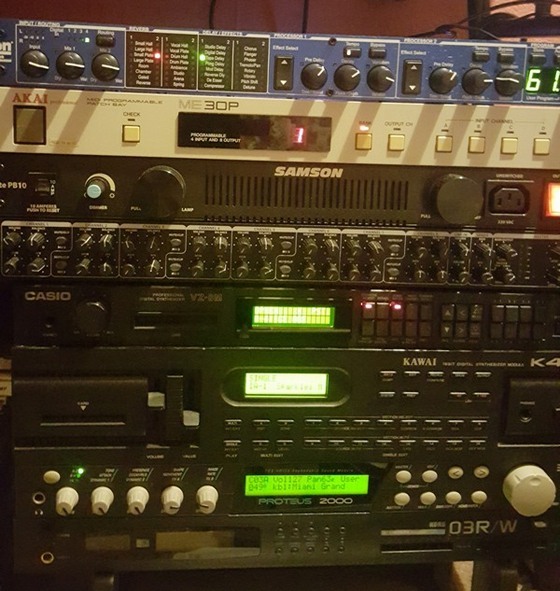 To add some effects capability to the Samson SM10 I have added a Lexicon MX200. So far very impressed, the effects are a lot more accessible than the Behringer FX200 I also use and it’s easy to combine two effects. Just after buying this one of my mixers went down (Behringer RX1602), I am replacing that with another Samson SM10 and may also use that in combination with another Lexicon at a later date. Promised myself one ages ago but then it sort of slipped off the radar. Took the plunge the other day and ordered one. A simple instrument, doesn’t cover the whole audio spectrum but for 70s or 80s string sounds it’s absolutely amazing. I love it. The original was always on my wanted list but the second hand price alone (and its rarity) meant that was never going to happen. The recent release of a Korg produced replica was very tempting but as space is now very limited it would have been hard to fit it but now Korg are to release a module version. I will finally have chance to own an Odyssey, if only a replica. After the recent failure of the M-Audio Keystation 49e the time had come to replace it. No wanting to risk another of the same make I went instead for the Alesis Q49 (the black colour sold it). So far I have no complaints and it has worked and connected perfectly. The keyboard has a better, softer feel than the rather clanky M-Audio. 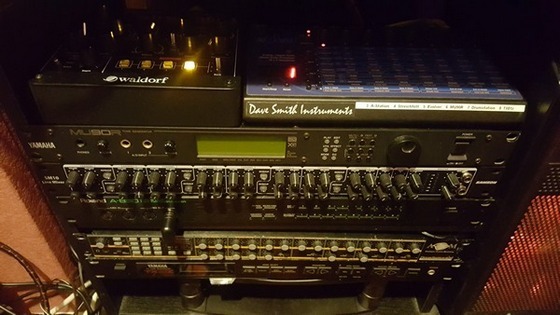 As I also moved a few of my rack units from under the computer and placed under the Roland JX-3P it was also advantageous to get another rack mixer, spent more than I normally would on a Samson SM10 instead of the usual Behringer RX1602. I have also got a Samson PB10 to supply the power. After weeks of odd pitch behaviour in Cubase I believe I have narrowed it down to my M-Audio Keystation. I would at times get a random pitch drop which would require a reboot of Cubase to reset, my initial thought was that it was caused by the old Philip Rees CSF but I took that out the system and still the same problem. It was also occurring on the USB input which bypassed the CSF anyway. I substituted the Keystation with my Casio CZ-101 and the problem ceased. Went back to the Keystation and the problem returned. I then noticed Cubase was showing random MIDI inputs, this was noticeable when running the Arturia Mini V as you could see the pitch bend wheel move. Dismantling the Keystation and disconnecting first the Pitch Wheel and then both Pitch and Mod Wheel did not cure the problem. 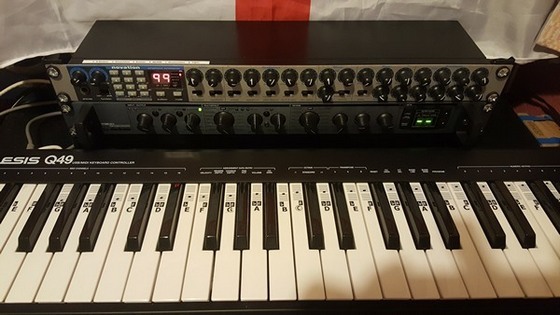 Unfortunately the small keys of the Casio and the fact it does not transmit octave change messages discount the Casio as a long time solution. Currently have the small MidiSmart controller doing the duties, once I am sure the problem has gone I will invest in another controller. Now this, the Arturia MatrixBrute, is one seriously nice piece of kit, but £1600 for a monophonic!